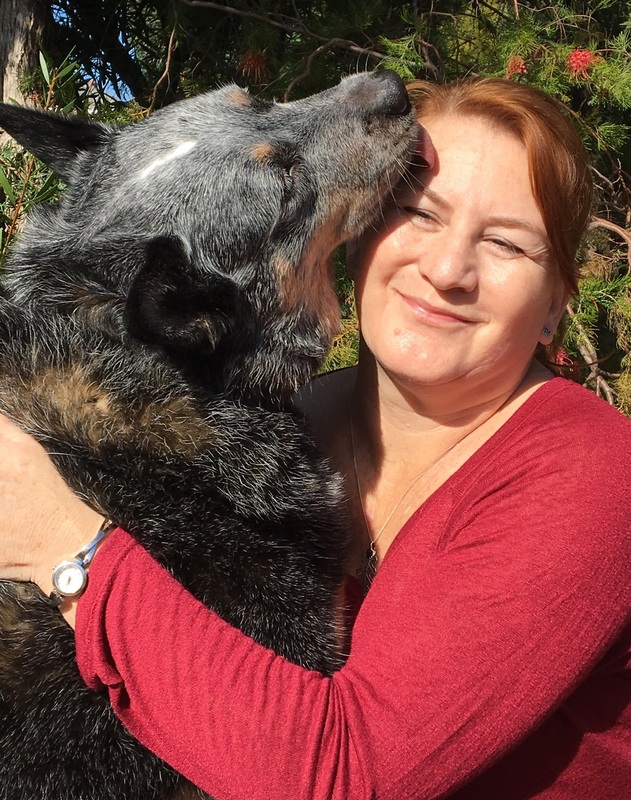 About Sandi – Sandi Parsons, reader, writer and storyteller. Permission is given for the information and photos on this page to used for print and electronic media for general promotion, display and educational purposes. For any other uses and/or content in other areas of this website, please apply in writing using the information on Contact page. 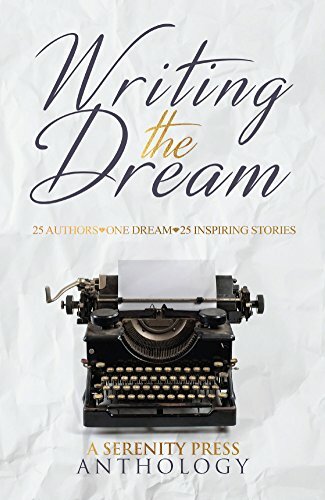 Sandi Parsons lives and breathes stories, as a reader, writer and storyteller. 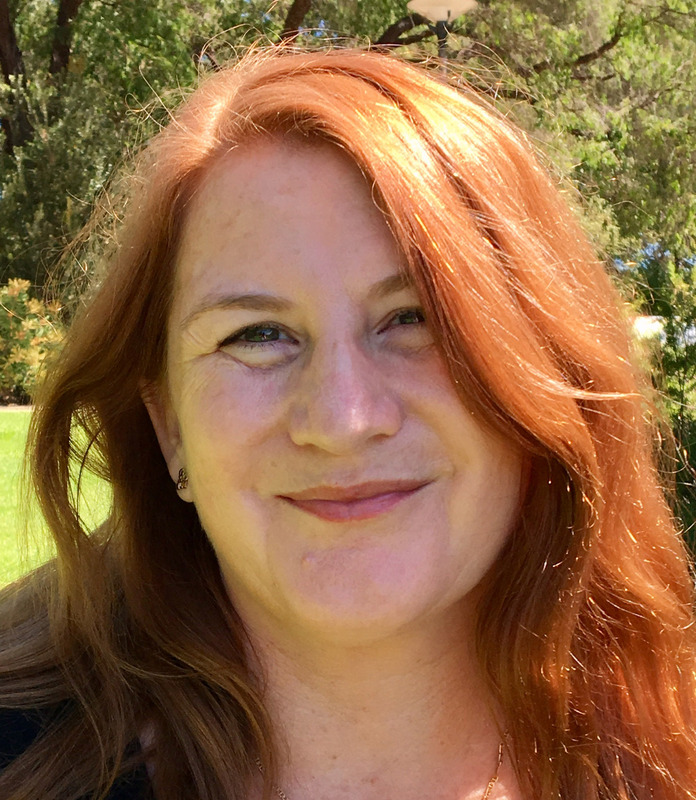 Having spent eighteen years working in educational libraries, she is passionate about diversity in storytelling and engaging readers with stories. 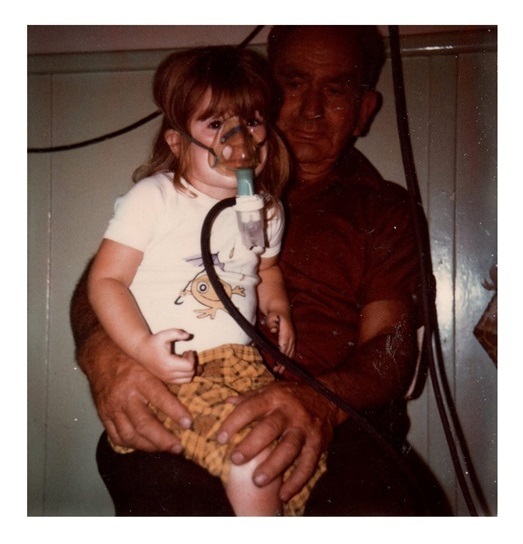 Sandi considers her guardianship of gifted lungs one of her many victories in her on-going battle with Cystic Fibrosis. She believes that a teetering stack of books waiting to be read is an essential component of every household. Sandi Parsons is a self-proclaimed Book Nerd. A passionate reader all her life, Sandi believes in the magic of reading and has made a career out of her love of literature. 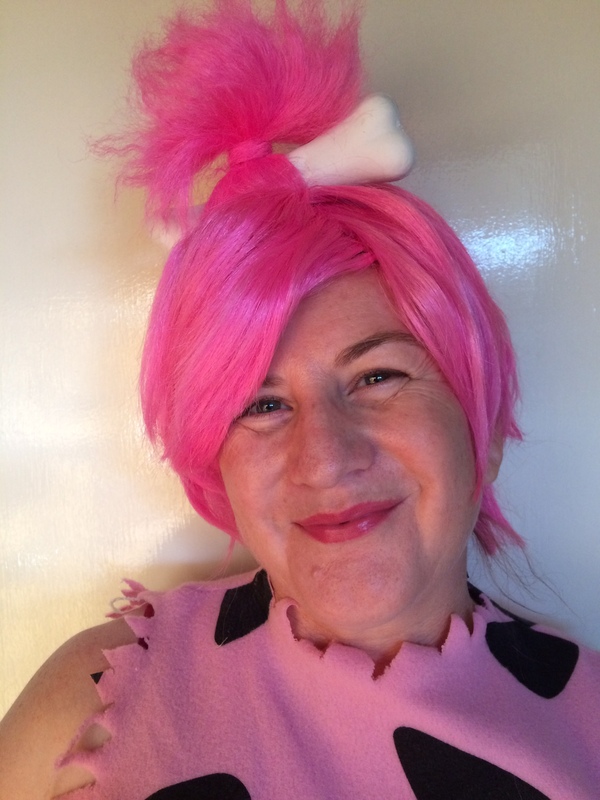 She works as a children’s librarian by day and writes for children in her spare time. Sandi uses real-life situations in her books. 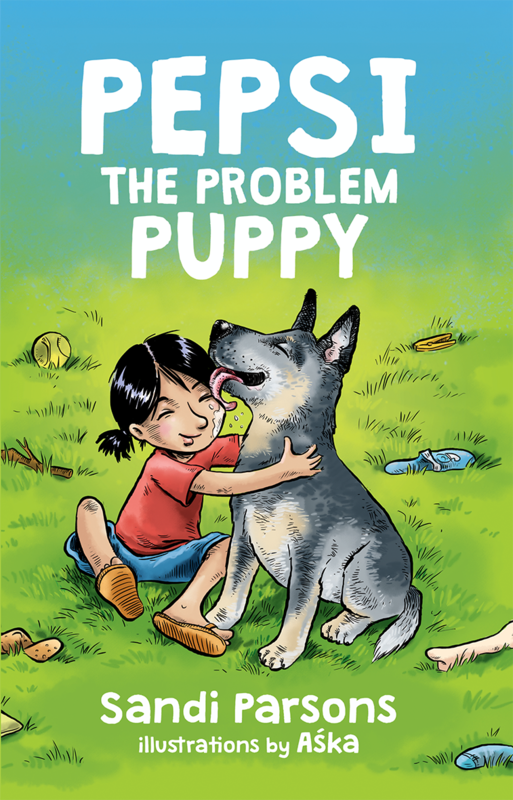 Her son, who loved to sneak and spy was the inspiration for the character of Jeremy in her first book, The Mystery of the Sixty-Five Roses, while her disgracefully behaved dog, Pepsi Parsons features in her latest children’s book, Pepsi the Problem Puppy. Her family members now know to be careful what they say or do, or run the risk of featuring in her next story! Sandi considers her guardianship of gifted lungs one of her many victories in her on-going battle with Cystic Fibrosis. Sandi was 38 when she underwent a double lung transplant. She is a passionate advocate for both Cystic Fibrosis and Organ Donation. 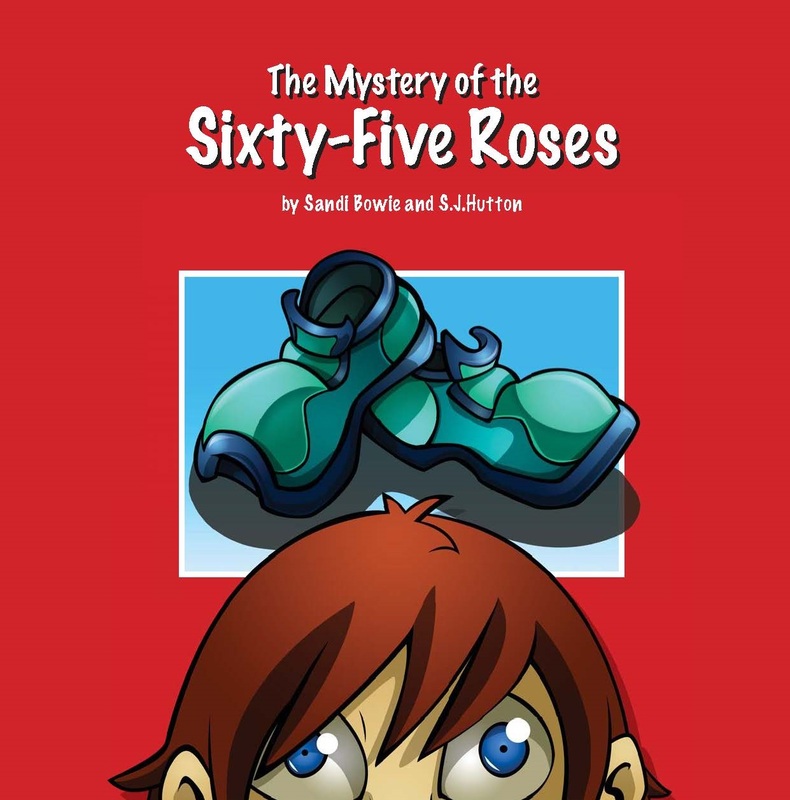 Her first book, published in 2012, The Mystery of the Sixty-Five Roses (under the name Sandi Bowie) was created to help educate and raise awareness for Cystic Fibrosis. She lives in Western Australia with her husband and a ‘To Be Read’ pile of books so high that they frequently threaten to cause a book-a-launch. 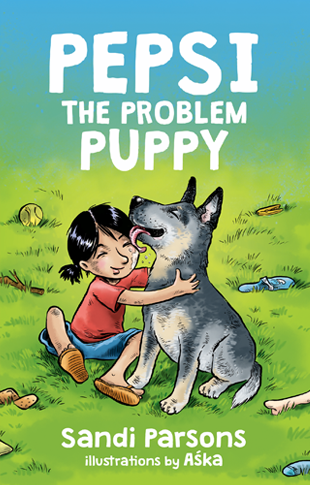 “Pepsi the Problem Puppy”, is based on the naughty shenanigans of her dog, Pepsi Parsons – Canine Story Advisor. You can read more about Pepsi here. 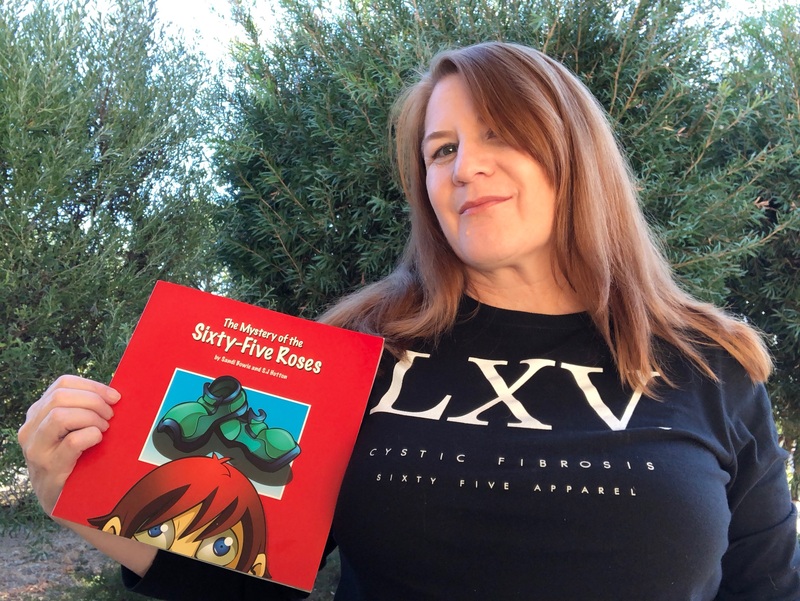 Sandi is writing a fantasy trilogy for young adults with her son, Jarryn. Sandi is a member of SCBWI, the Society of Children’s Book Writers & Illustrators. The scene in The Mystery of the Sixty-Five Roses, where Jeremy peeks through the window is based on a real-life situation. The character of Jeremy in The Mystery of the Sixty-Five Roses is loosely based upon her son, Jarryn. Permission is given for the author photos on this page to used for general promotion, educational and display purposes. High-resolution versions can be accessed by clicking to open them on another page, and then downloading. 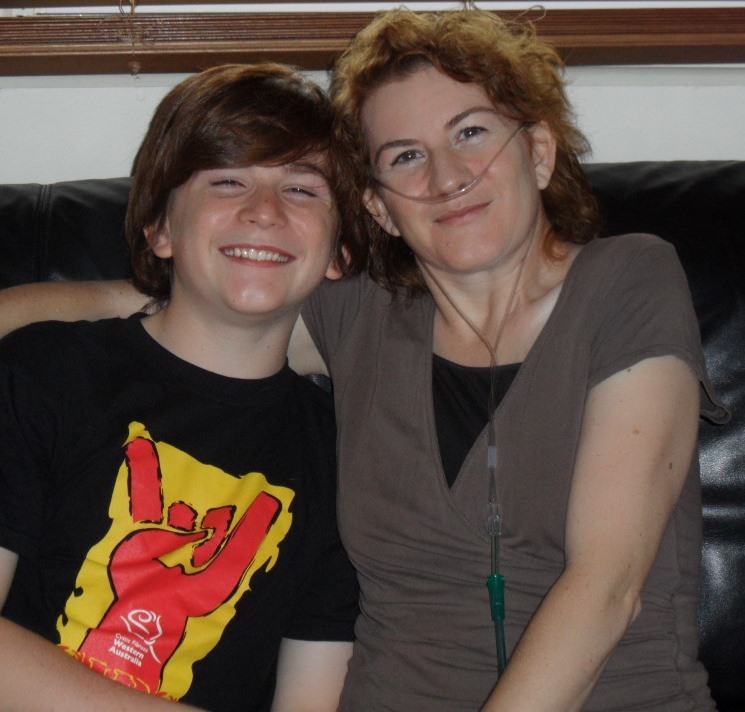 With her son, Jarryn in 2011 – two months before her double lung transplant. Permission is given for the cover images on this page to used for general promotion, educational and display purposes.